Patna. 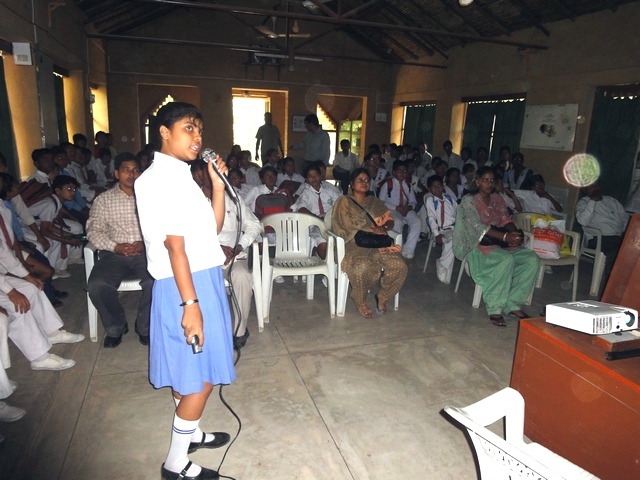 21 April: Over a hundred student representatives from Mount Carmel, BPS, Hartmann, Gyan Jyothi and Gyan Deep met at the Tarumitra Bio-reserve in Digha to celebrate the World Earth Day. They participated in it by enacting the traditional Marriage of a Well to a Tree. Shweta Marandi , a Tarumitra student leader from Mount Carmel, who compered the program said that our ancestors knew the delicate interdependence of the trees and water tables. They solemnized this symbiotic relationship of trees and water by organizing their wedding at every Hindu marriage where the priest presided over the marriage of the well to a tree along with the nuptials of the boy and the girl. “Every human marriage is protected by the greater wedding of the trees to the wells!” said Sanskriti Chauhan, another student. As part of the celebration students came in groups and organized the waving of lamps (aarti) both to the “bride” and “bridegroom” along with other rituals of a regular marriage. They exchanged garlands on behalf of the large Kamroop tree( Ficus retusa) and the ancient well. Bhavana, of Hartmann leading the Aaarti and the garlanding of Ficus retusa! 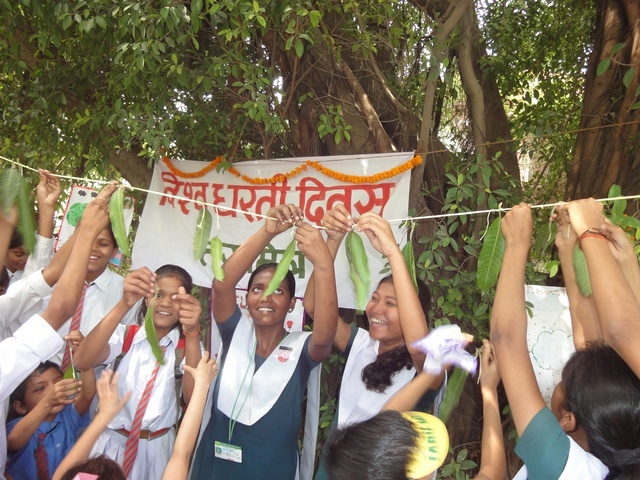 They further joined en mass to prepare the strong gatbandhan “marriage band” by tying mango leaves on the yellow rope . The students showered specially coloured rice on both the tree and well when one of the volunteers Kanchan Pathak chanted the nuptial mantras. “I am very touched by the devoted participation of students and they made the occasion a memorable one” said scholar of economics Dr. Chirashree Das Gupta who was the guest of honor. “The Water table is depleting day by day and this trend poses a serious threat to life on Earth. Thus there is a serious need to save more and more trees to keep the eco-system habitable.” said a senior member of Tarumitra, D.N Prasad. ” I was so happy to see that our kids are taking serious efforts to protect their mother earth along with their future.” commented the Director of BPS School Anil Kumar. 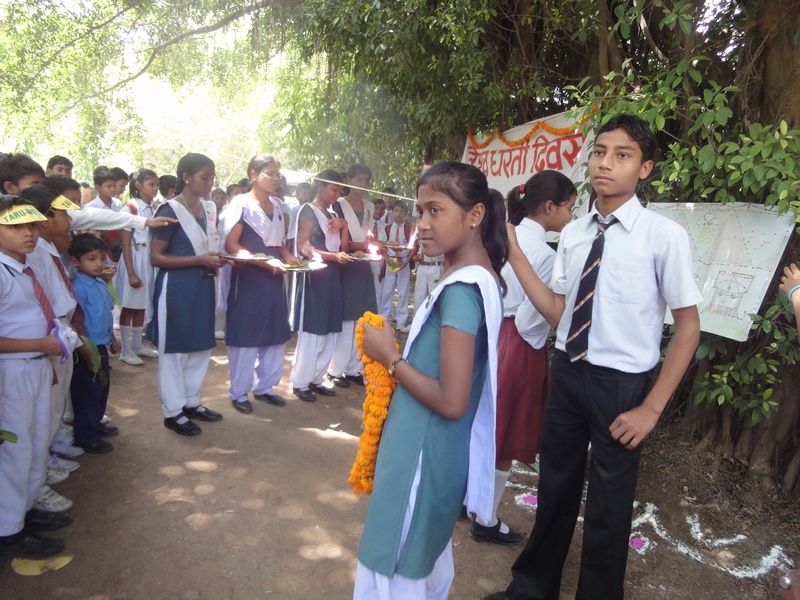 Students of BPS organized nuptial taps under the leadership of Khushbu and Pintu. Himanshu from Gyandeep did a solo on Tera hi jalwa. 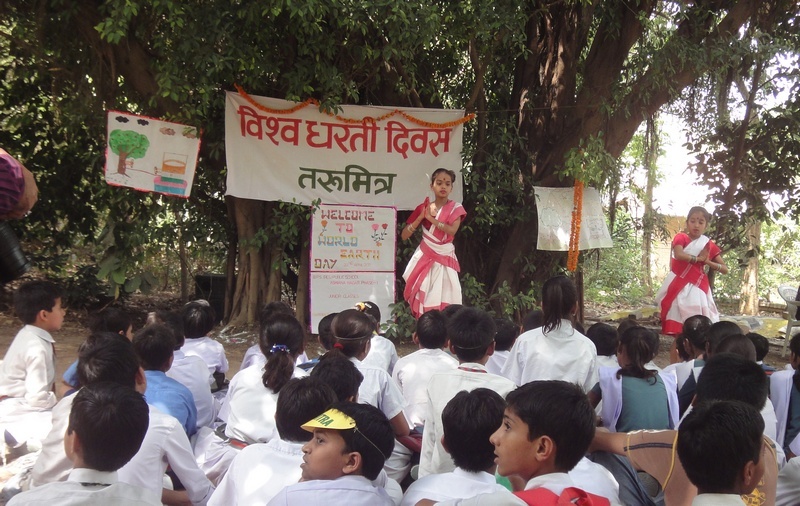 There was marked enthusiasm shown by the students totally sheltered from the summer sun under the Kamroop tree. They clapped and thumped as the dances gained high speed! Many teachers too participated in the event under the co-ordination of D.N Prasad. Present also were Ms Margaret Molomoo from Darjeeling, Rajesh Kumar, Ravinesh, Sanjay Sigh, Ignace Xalxo, J Raj, Fr. Robert Athickal and Amardeep. This entry was posted in Tarumitra and tagged Bio-diversity, BPS, Chirashree Gupta, D.N Prasad, Earthday, Earthday 2011, Gyandeep, Gyanjyothi, Hartmann, Marriage of trees, Marrriage of wells, Sanskriti, Shweta Marandi, Symbiosis, Tarumitra on April 21, 2011 by tarumitra. 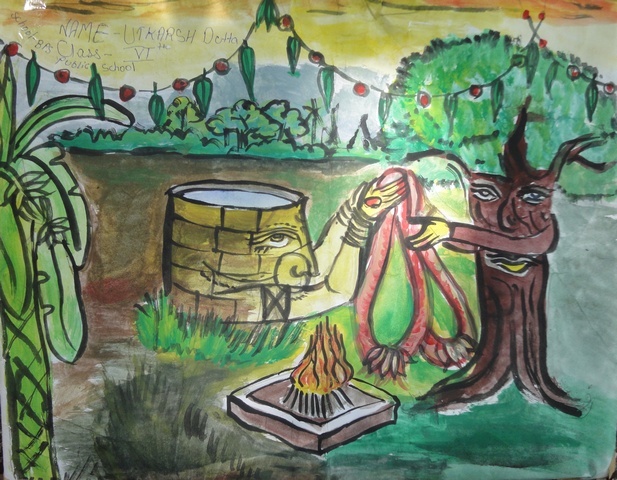 Gone are the days of doing the same old painting competitions to create awareness on environment! We do not need more sessions in awareness. All of us are aware of the problems. What we really need are ideas to re-connect back to the nature. I think the Tarumitra gang is right on the right track. A novel way of teaching children our relationship and inter-connectedness. A great act of reverence to Mother Earth who sustains us. A touching gesture indeed to re-connect to mother Earth! Congratulations to all the Participants… I feel very happy to see you celebrating this important dates for all of us. Wish I had the chance to be there celebrating with all of you… Keep working hard and all the best wishes. I really miss you! Regards from Central America, Honduras. this type of concept is better than other to evaluate relationship.